i have class at 4PM !!!! - . i have class at 4PM !!!! 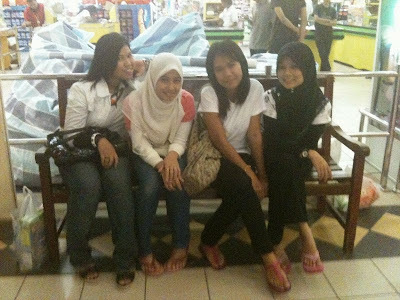 from right, ros...me...atd & & & emo @ huda. hahah. rmmber her? nwy, i dah buat blog baru! not a blogspot, thats for sure. i perlukan some place yang i boleh cerita macam2, what i'm doing for today, what i bought when i go shopping & more.. & i think blogspot is not the place for me to write all those. coz i tau, bila orang baca, orang akan cakap kita neh menunjuk2 lahh. walaupon tuh bukan niat sebenar. but dont worry, i'll still blog through here. share some things with u all.